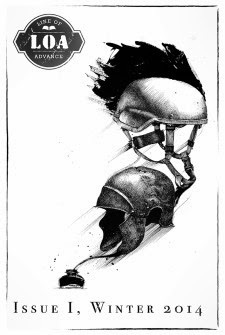 The editors of the on-line literary journal Scintilla are calling for submissions focused on the "literature of war." Launched in 2012, the twice-yearly publication is working toward its first-ever issue organized around a theme. 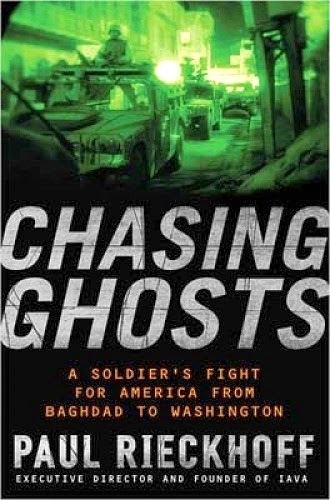 "Specifically, we are interested in fiction, poems, and essays from soldiers, their families, and those who've participated in or been affected by the wars in Iraq and Afghanistan," the editors write. Deadline for submissions of original, unpublished work is April 11, 2014. Publisher, editor, and blogger Tim Lepczyk founded Scintilla not only to publish new and emerging writers, but to work with writers in order to develop their skills. 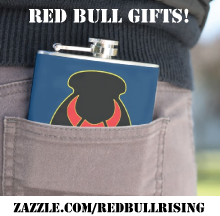 "One of our philosophies is to help writers grow in their craft," he told Red Bull Rising blog in a recent e-mail. "We try to give some formative feedback if we don't accept a submission, and try to work with a writer on a revision if we feel a piece is almost there. With our themed issues, we're hoping to provide editorial guidance and create issues that are more cohesive." 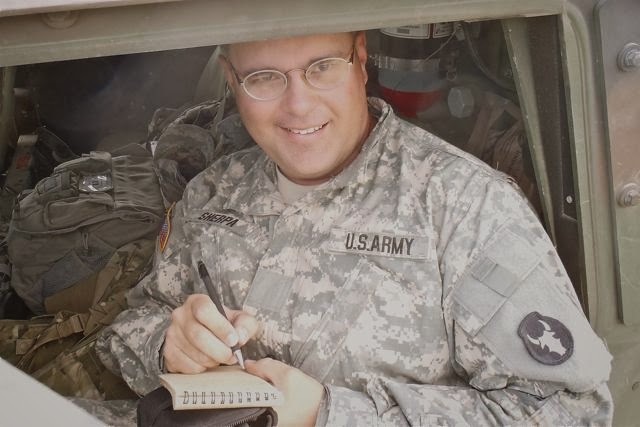 Lepczyk's desire to illuminate writing related to war stems an extended personal network of veterans and current service members. 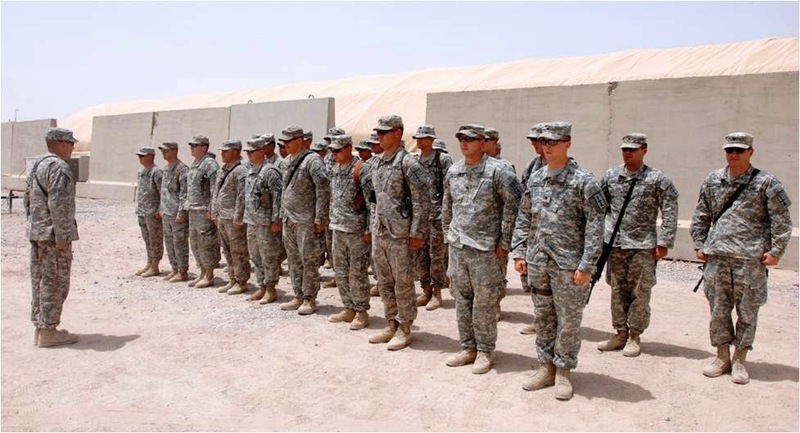 "I've a few friends and acquaintances who are veterans or active-duty military. Also, some of my friends have brothers serving in the armed forces," he says. "So in this regard, there was an awareness of stories and experiences out there, but I also felt like I wasn't hearing them. 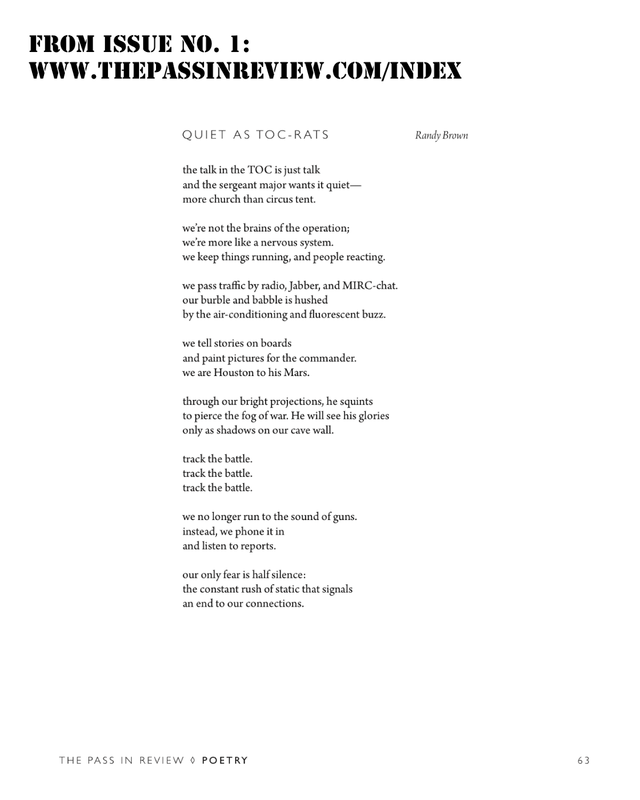 Last summer, I read Kevin Powers' 'The Yellow Birds' and I think that catalyzed things for me. I could use Scintilla so that more of these stories and poems could be told." Word limit for submissions is 6,500 for short stories and essays. Poetry should be single-spaced and include no more than four poems. Make on-line submissions via Submittable here. For more guidelines, see the overall submissions page here. 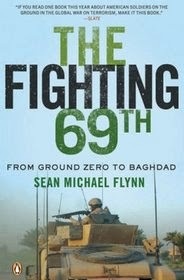 The publication acquires exclusives electronic rights for 90 days, non-exclusive electronic rights to maintain a digital archive, and anthology rights to publish in e-book formats. Writers retain the right to publish the works elsewhere, although original publishing credit is requested. A website for the Scintilla journal is here. A Facebook page for the journal is here. A writer of a blog that tells the story of an uncle's service during World War II recently recounted how social media has helped clarify the circumstances of his uncle's non-combat death in 1944 Italy. 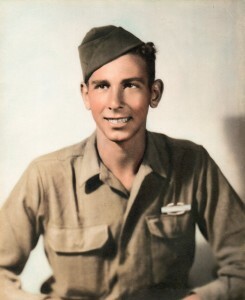 Writer Kurt Greenbaum uses a blog to post the letters of his late uncle Frank D. "Babe" Mauro, Mount Kisco, N.Y, who was a member of the U.S. 34th Infantry "Red Bull" Division. Mauro was a radio operator assigned to the Anti-Tank Company, 168th Infantry Regiment (168th Inf.). Mauro, who died a just four days before V-E Day, always began his letters with "I am well, happy, and safe." Greenbaum's military history blog takes its name from the salutation. Based on his recollection of the relevant conversation, John Conte did not think that the accident involved alcohol. Greenbaum's experience validates the idea that social media and blogging can create new opportunities for exploring the past. For Greenbaum, the snippet of information provides a little closure. "It may be the best information I’ll ever get on the subject," he writes. "And yes, I wanted to hear it." For previous Red Bull Rising mentions of the "Well, Happy, and Safe" blog, click here and here. 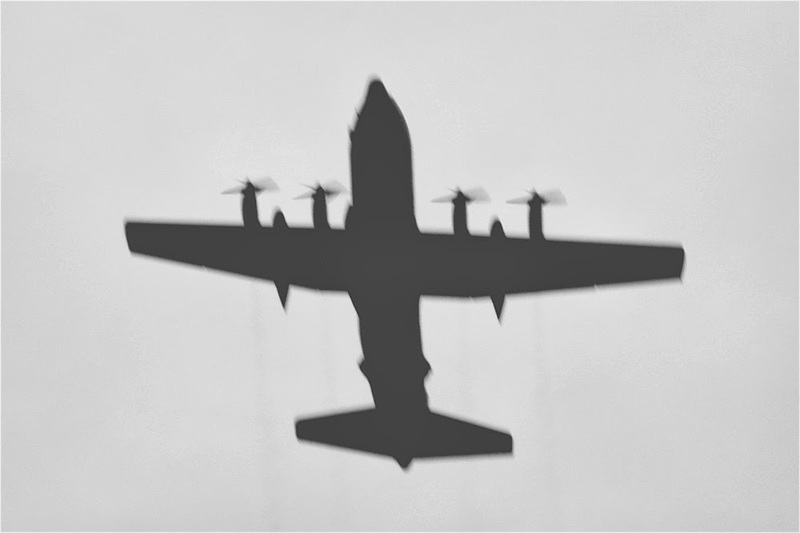 The editors of The Blue Falcon Review report that a cohort of some 30 military veterans is currently participating in an on-line writing workshop, in preparation for its second volume of short fiction. 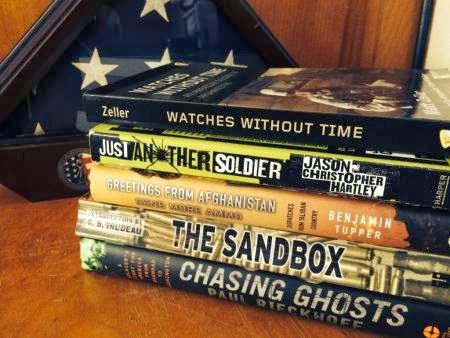 In the meantime, other writer-veterans can also submit to the volume, which will be published in November 2014. 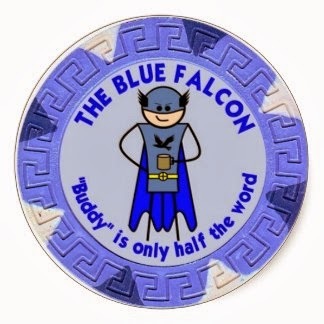 The Blue Falcon Review is one of four on-line publications published by the Kentucky-based non-profit organization Military Experience & the Arts. 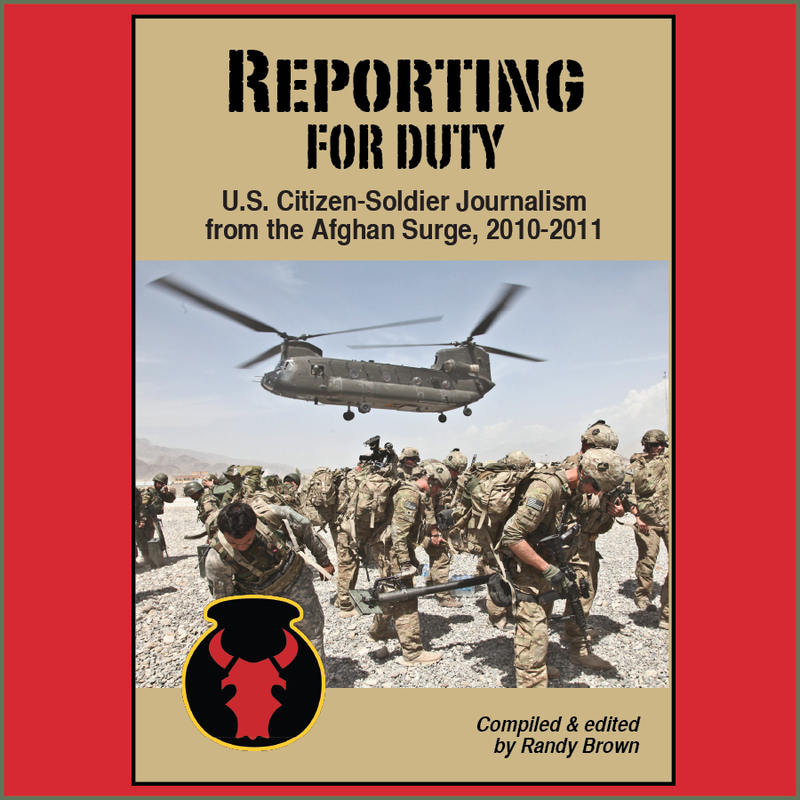 The name of the journal is a cheeky reference to a rather rude military slang term, describing a service member who seeks to gain favor or advantage over his or her buddies. In their natural environments, of course, Blue Falcons would presumably never flock together. Still, perhaps those gathered in the workshop can come up with an appropriately creative collective name for them, as in a "murder" of crows? The Blue Falcon Review's staff includes Managing Editor Daniel Buckman, and associate editors Jerad Alexander and Amira Pierce. Writers can submit original and previously unpublished work here. The publication acquires first-time and anthology rights, and is distributed free on-line. Published last November, the first volume of The Blue Falcon Review is available as a free download here. 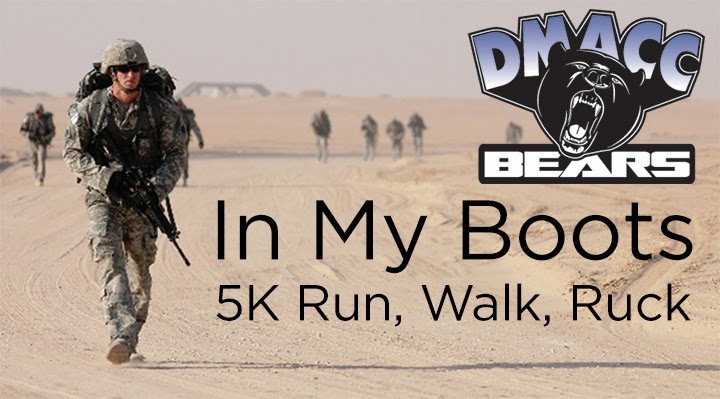 An "In My Boots" 5k run, walk, or ruck march will be sponsored by the athletics department of the Des Moines Area Community College, located in Boone, Iowa, Sat., April 19, 2014. The event location will be McHose Park in Boone. Individual registration is $25 before April 7; same-day registration is $30; team registration is $80. Proceeds will go to the Wounded Warrior Project. 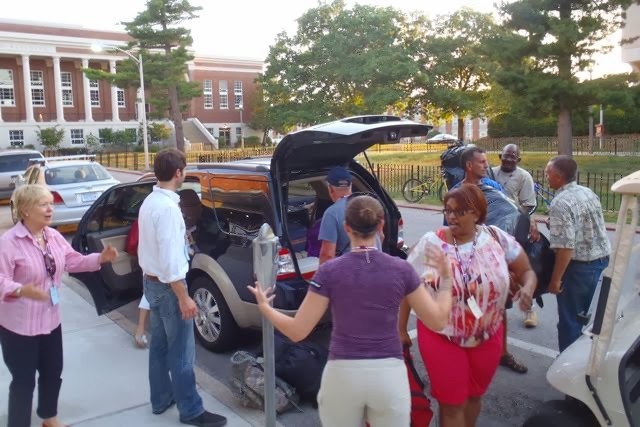 At the event, food and clothing donations will also be collected for area homeless shelters. 5K run/walk/ruck: The 5K will be a loop around McHose Park in Boone, Iowa. Individuals can also compete in the ruck-march that will cross through the woods and streams around the park. A limited number of ruck-sacks will be available on race day. If possible, bring your own. Please preload your ruck with non-perishable and clothing items to donate to a local shelter. Ruck March: Current military members and veterans are eligible to participate in a team ruck-march competition. Each team will consist of 4 members carrying packs weighing at least 30 pounds. Weight limit will be waived if packs are filled with donations for local shelters. The first complete team to cross the finish line together will be awarded the first ever “In My Boots-Team Ruck-March” award and have bragging rights throughout the year. For a PDF registration form, click here. Des Moines Area Community College, a public institution serving the educational and career training needs of Iowans, is committed to the lifelong success of its students. As Iowa’s largest two-year college, DMACC offers 150 programs, certificates and transfer degrees, annually serving more than 75,000 credit and noncredit students on six campuses and in five learning centers. Thanks to college-wide innovation, new programs and affordable tuition, DMACC has experienced record growth and today is the 15th fastest growing two-year college in America. For more information, click here. In keeping with the newly launched literary journal's name—it's a pun on a command used in military drill and ceremony—The Pass In Review is a quick-step parade with plenty of flash, brass, ruffles and flourishes. 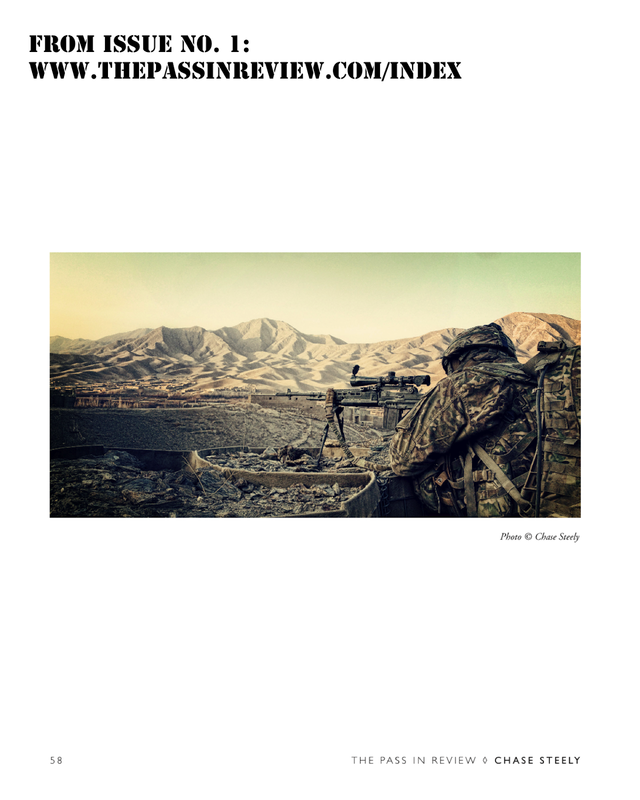 While the content is not restricted to soldierly themes, the premiere issue features the poetry, fiction, photography, and artwork of more than 20 military veterans. One of them, admittedly, is the writer of the Red Bull Rising blog. 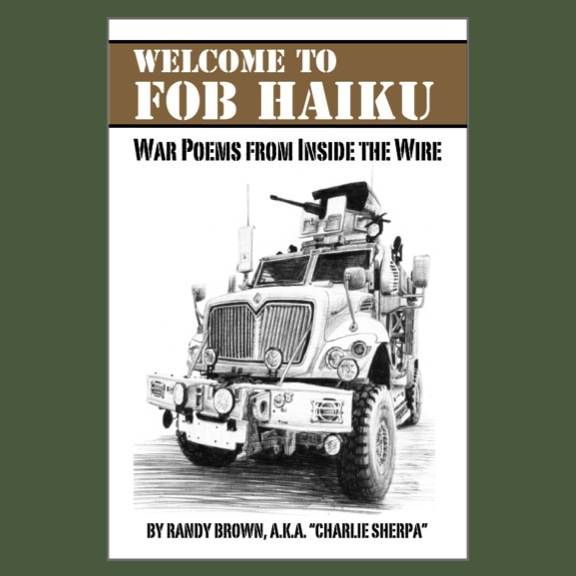 The issue includes, among other examples of his light military-themed verse, what may be the only poem ever written on the subject of working in a Tactical Operations Center ("TOC"). 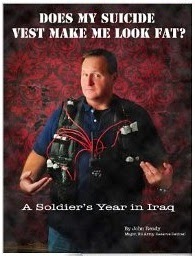 There is also one about making an on-line purchase of body armor. 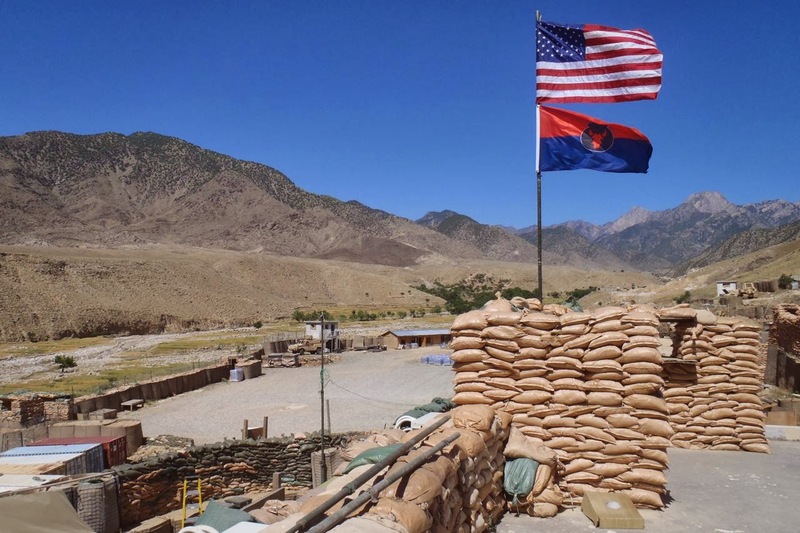 And one about life on a Forward Operating Base ("FOB") that is infused with Norse mythology. Even without this potential bias, however, we would be excited by the prospects presented by this new collection of veterans' voices. The issue is available electronically for $8.99 purchase via the Amazon Kindle Store . (Currently on discounted to $4.99!) For those who prefer ink-on-paper, the 82-page Pass in Review is also available as an 8x10-inch print-on-demand hardcopy via Amazon (around $18—currently discounted to $15) or via CreateSpace ($20). If you buy a print edition through Amazon, you get the option of purchasing the Kindle version for $1 more. An annual Pass In Review anthology may also be in the works. 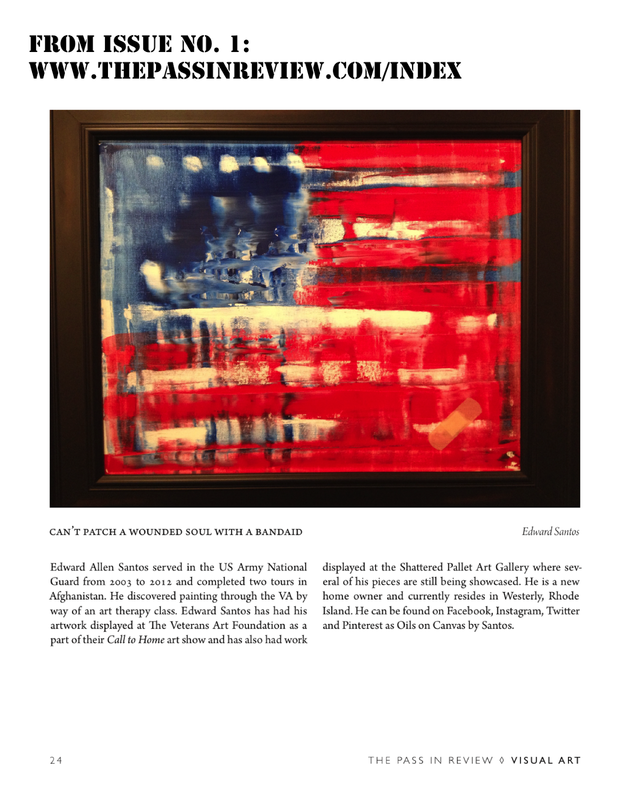 The Pass In Review is a quarterly magazine for the arts that is focused on giving a strong, clear voice to the military veteran. This is a place for veterans of all backgrounds and nationalities to share their artistic visions and join the likes of Erich Maria Remarque, Joseph Heller, J.R.R. Tolkien, Kurt Vonnegut, Wilfred Owen, Otto Dix, John Phillip Sousa and Tim O'Brien before them. It is a difficult endeavor to separate oneself from the cause he or she fights for. Those artists, those warrior poets, whose perceptions are forged through the fires of war are compelled to illustrate the funny, honorable, disgusting, beautiful and cowardly aspects of the human condition. Through their art, they are able to denounce the machinations of the press, the lies of politicians, and the ideal of the glorious soldier to expose the truth to share with future generations. "After a couple of months of prep work, we opened our inboxes to submissions and the result was incredible," he writes. 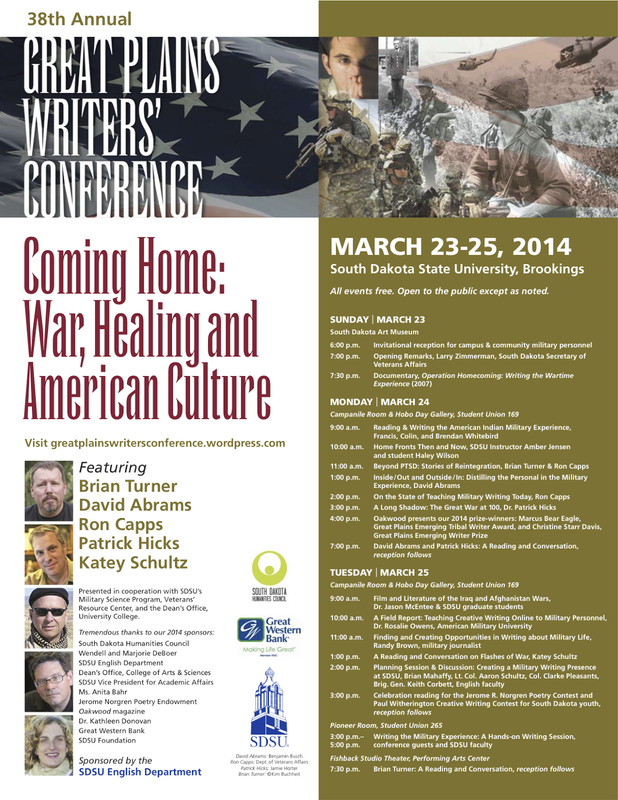 "Stories, poems, paintings and photographs streamed in by veterans from all services. After going through all of the submissions, I realized how completely and utterly wrong I was. All that time, I had been complaining about there being no artists like the ones I listed before. The truth is, they are out there. They just haven’t been discovered yet. We at The Pass In Review hope to change that." In issue No. 1, front-and-center of Zapata's artistic assault is the work of photographer Chase Steely, an active-duty U.S. Army soldier currently serving with 2nd Stryker Brigade Combat Team (S.B.C.T. ), 25th Infantry "Tropic Lightning" Division (2-25th SBCT), Schofield Barracks, Hawaii. 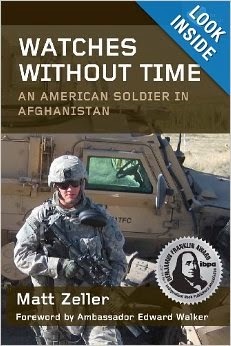 Steely was deployed to Eastern Afghanistan as an infantryman. After peers and leaders responded favorably to his photographic habits, however, he picked up additional and informal duty as a shooter of a different sort. Even my Sergeant Major, who didn’t even know who I was ... I just became "the picture guy." I mean, I got in trouble a couple of times for stuff I posted [online] and they told me I had to take some stuff down but they were pretty supportive. Most of the time I was an RTO [Radio Telephone Operator], so that gave me the opportunity to be there and not have to worry about pulling security as much and just get to take photos. Even when I became an AG [Assistant Gunner] later on, they would pull me off that duty and just tell me "Hey, walk around and take pictures." Despite the fact that he mostly used a small point-and-shoot camera, his eye for composition, color, and pattern delivers a fine-art treatment of the Afghan environment. 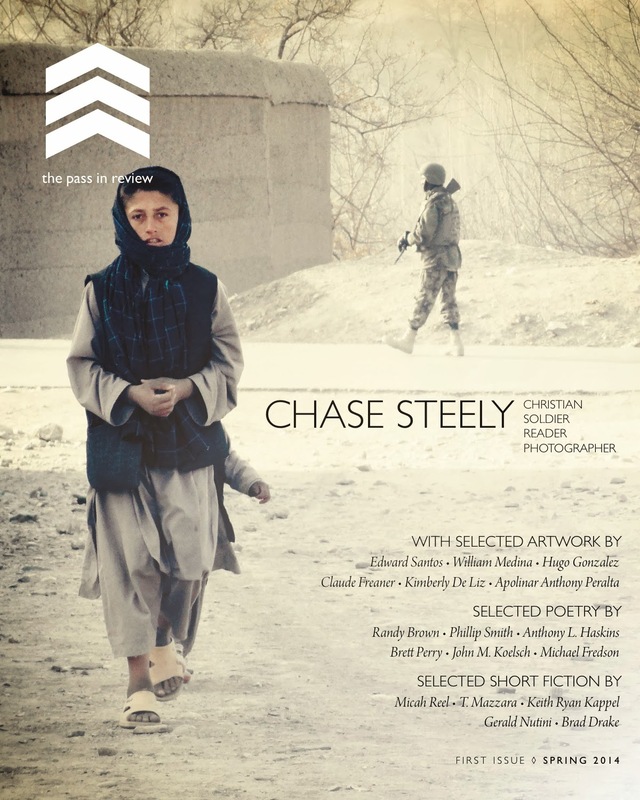 Through Steely's viewfinder, you will encounter a day-to-day Afghanistan that seems almost magical. Currently awaiting medical procedures related to injuries sustained while in Aghanistan, Steely has another year or two on his enlistment. 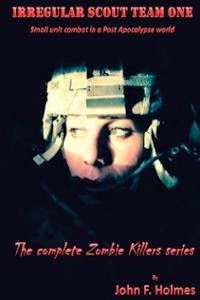 In the meantime, he has self-published a 60-page photo book via Blurb, available in either print or e-book formats. The submissions window for the second issue of The Pass In Review opened Feb. 1, and continues until April 1. 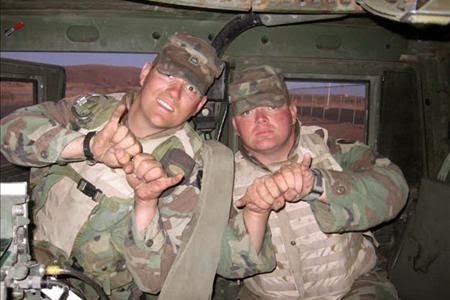 The theme of the next issue is "Humor in the Military." Editors seek previously unpublished fiction, poetry, visual art, and music. Submissions are made through the journal's website. Click here for more guidelines. Disclaimer: As indicated earlier in this post, the writer of the Red Bull Rising blog has work appearing in the poetry section of The Pass In Review's issue No. 1.